Simply Clean Cleaning Service, Inc. has been providing quality service to Northwest Indiana since 2004. We arrive ready to clean your home or office with all the supplies and equipment that is needed. Your home is very important to you, that's why we take such pride in our work. Start with trust. We are A member of the Better Business Bureau. Our business is family owned. We are bonded and insured for your protection as well as ours. We have 100% guarantee on all of our work. If you are not satisfied, please call us and we will re-clean for you at no additional charge. 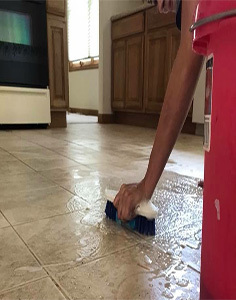 Our cleaning crew is dedicated and trained to make our customers happy with the work that is being performed every time. We offer convenience to our customers. We give free estimates in you in your home or office. We set up regular cleaning appointments on a weekly, bi-weekly or monthly basis. The choice is yours. You can feel comfortable leaving the cleaning to the professionals. We offer cancellations to our customers (with a 24 hour notice prior to your scheduled cleaning). No contracts for residential cleaning. We accept Visa, MasterCard, and Discover. You will know you have made the right decision with choosing our service once you have checked our references. We are completely dedicated to our customers and guarantee you will be happy with the cleaning service that we provide to you. We offer discounts to our customers for referring their family and friends to us for any cleaning job. You can depend on us to be there when you need us the most. You will simplify your life, we are just a phone call away. Thank you for taking the time to learn more about Simply Clean Cleaning Service, Inc. Simply Clean Cleaning Service, Inc. is Family Owned.